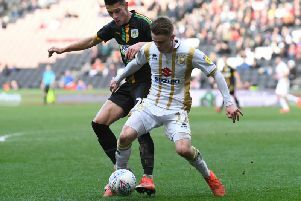 Who will take over as MK Dons manager? With the season over, attention switches from the debacle on the field to the manager hunt off it. Speaking after Saturday’s 1-0 win over Shrewsbury, Keith Millen backed himself for the job, saying his understanding of the club and what it needs should put him in pole position for the role on a permanent basis. We take a look at the top runners for the job.